Visiting an art museum exhibiting a retrospective of the work of acclaimed photographer Kathy Moran, aspiring novelist Stacey Kim is stunned by the picture at the center of the show--the famous Woman with a Gun, which won a Pulitzer Prize and launched the artist's career. Shot from behind, the enigmatic black-and-white image depicts a woman in a wedding dress standing on the shore at night, facing the sea. 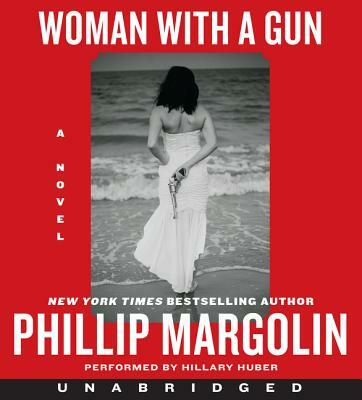 In her hands, clasped behind her back, she holds a six-shooter. The image captures Stacey's imagination, and raises a host of compelling questions. Obsessed with finding answers, she soon discovers the identity of the woman, who is a suspect in a ten-year-old murder investigation. Convinced that proof of the woman's guilt, or innocence, is somehow connected to the photograph, Stacey embarks on a relentless investigation. But Kathy Moran isn't talking. Stacey must find a way to get to the reclusive photographer, and get her to talk, or the truth about what happened that day will stay forever hidden in the shadows.